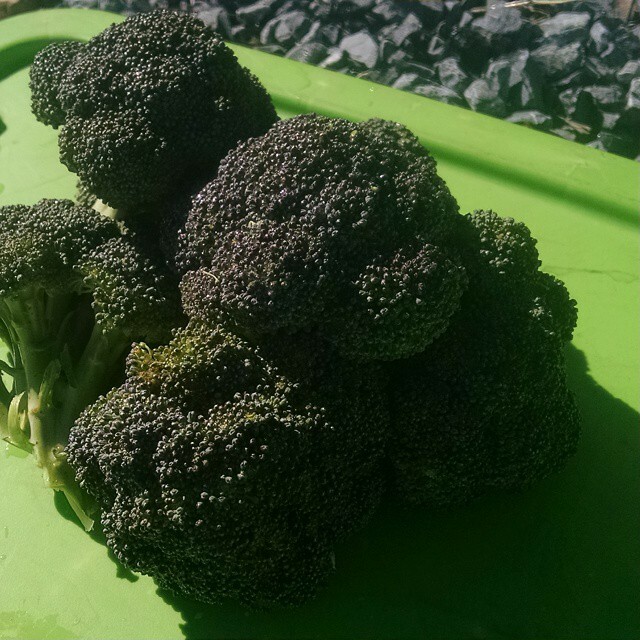 Next week is the last CSA delivery of the season. I can hardly believe it. It was just the other day we were setting up the bunker in the greenhouse for the first round of seeding, wasn’t it? Time moves strangely always for me, but particularly so in the last eight months. Not sure where it all went or how we got here, where I’m wandering Philly before 7am and posting up at a coffee shop in Fairmount in all my winter gear before work at my old office. 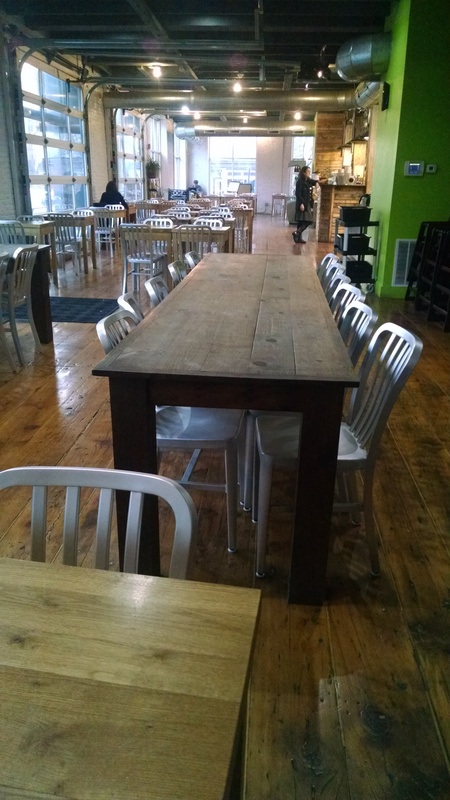 OCF Coffee House – this pot of tea and breakfast sandwich made my whole week. Ya’ll don’t even know. August-October passed in a straight-up blur. It was really hot for awhile, I remember that. I remember the weeds, of course. 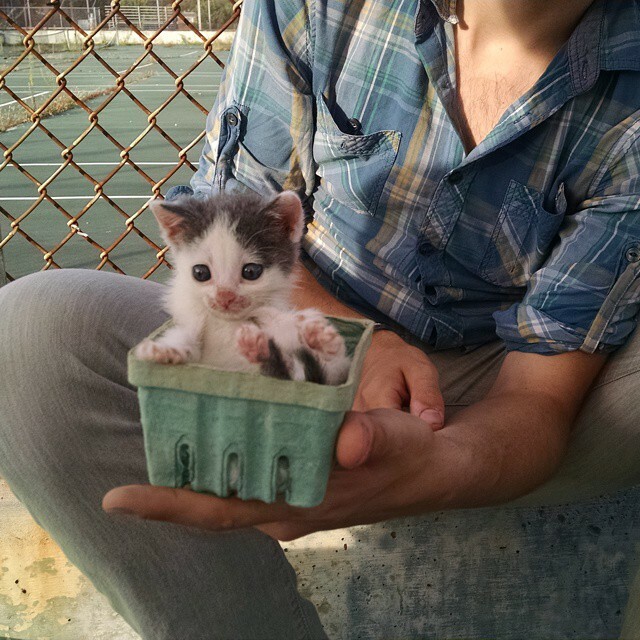 And I remember a fair number of markets chock full of awesome and adorable humans. But it was a crazy frenzy, interrupted by bouts with new friends, hilarious market antics and small animals. 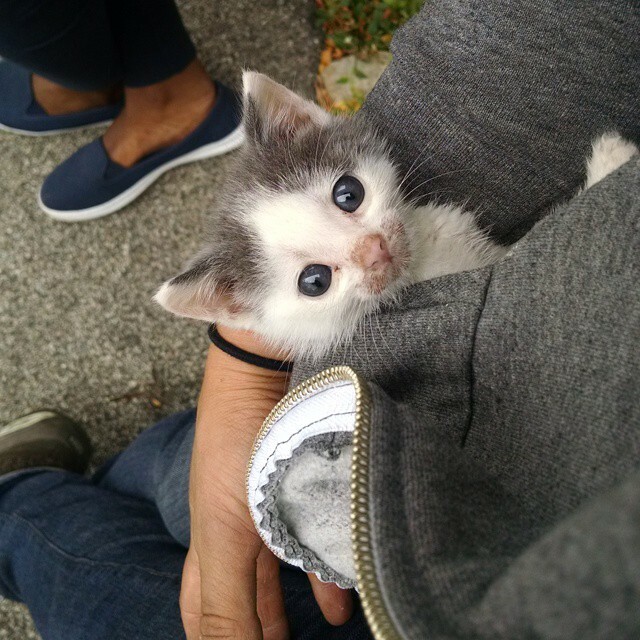 Baby Stubbz was a big hit at market. 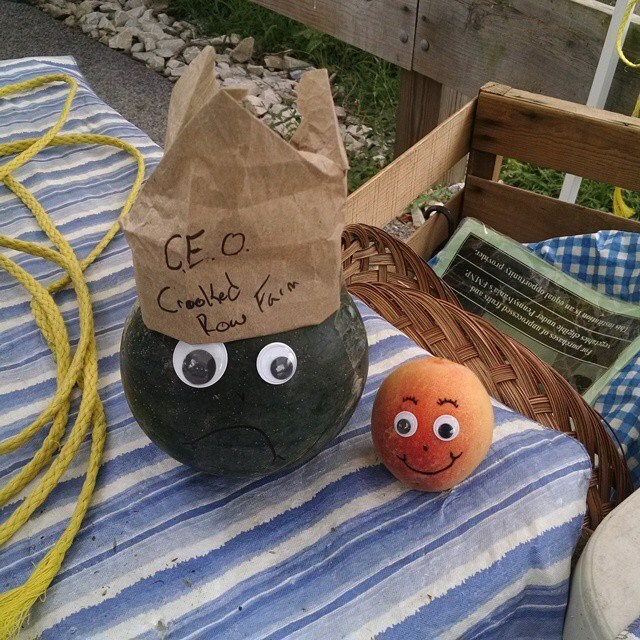 And then there was that time Steve hosted a coup at the Saturday market. Both markets ended two weeks back, and last week I had my first Saturday off since May. It was so surreal and so very calm. I think I drove around a little aimlessly in New Tripoli just because I could. Not that we aren’t without farm work. Not just yet. We are packing up the season – organizing, breaking down supplies, and thinking already about what we need to do better next year. We have over twenty pounds of garlic that went into the ground last week, and another seven to go before we’re through. We’ve been awaiting soil test results, thinking about what the future holds, and printing 2015 CSA pamphlets. Not that I’m still soldiering on at that manic summer speed. I’m sleeping more. I’m really enjoying nights with Epsom salt baths and movies. I’m moving a little slower to cut the last of the CSA greens in the field. I still work at the health food store three days a week, and now I work 2-3 days in Philadelphia, archiving and helping with Toy Drive business in my old stomping grounds at The Support Center for Child Advocates. I’ve been starting to run again – which I don’t have the time or energy to keep up with in the thick of the season but which makes me happier than I ever really realize until I start doing it again after a period of stagnancy. I’ve been ordering books to read on Amazon. I’ve been lying around, occasionally, trying to learn how to do nothing. Oh, and working on my house. Did I mention I got a house? Like I said, it’s been a weird last few months. My parents, who guide and support me in all things, believe in my endeavor enough to help financially back my soon-to-be home-ownership. 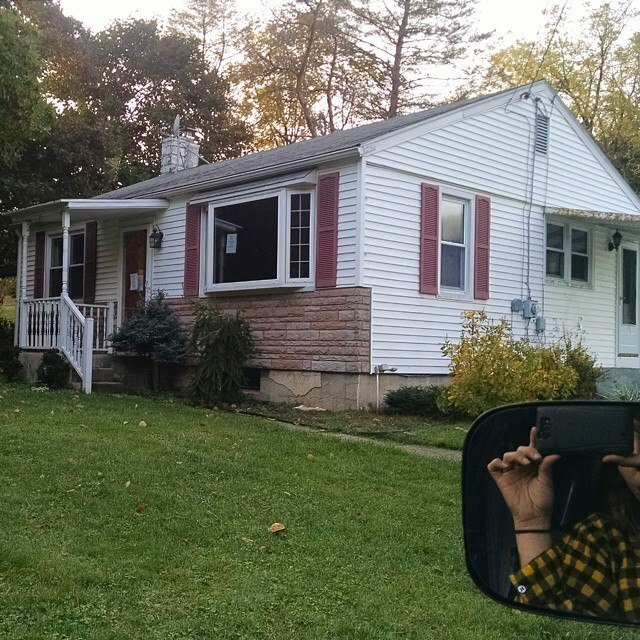 The business did expand exponentially this year, and I still love farming, so we figured it made sense to look into buying rather than renting in the area. And when they showed me Little House a few months ago, I lost my mind. I mean, look at it. It’s the most adorable teeny house I’ve ever seen. And the trees on the other side of it are great. I’ve already spent an hour reading in one of them. In the last few weeks since settlement, I’ve spent hours in Home Depot trying to navigate pex fittings and ceiling fans. Two of my oldest and dearest friends from home, Steve and Mike, have decided to invest their time and energy into getting this place in order for me. Electrical and plumbing work for food and beer? Yeah, I think I can manage that. I truly have some incredible friends. I don’t know what I’ve done to deserve this love from them and so many of the people close to my soul, but I am so, so grateful to have them. The end of the season has been exciting for my family, too. 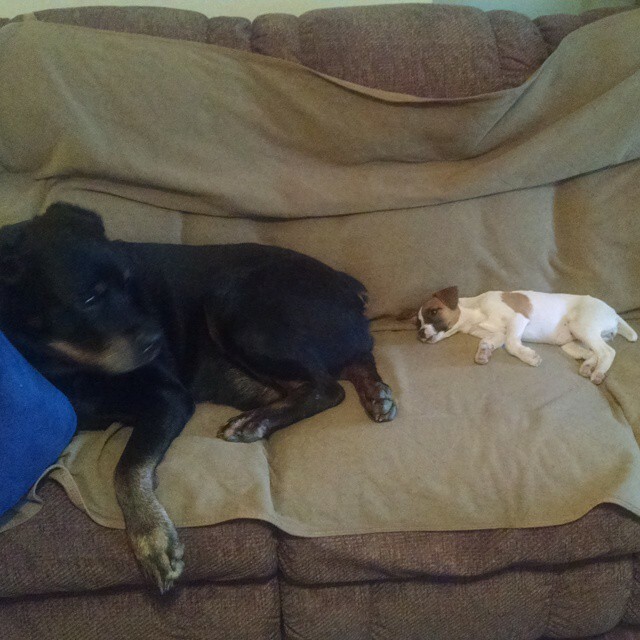 Instead of getting bored about winter, Mom was gifted a puppy, and there is warm little ball of light in there house that makes her so happy. And Arya Stark is pretty adorable, even for a Jack Russell. Strider is probably the least thrilled of the team to have Arya in our midst. But he loves her, too. But back to Crooked Row. I’ve learned so much again this year, I’m not sure where my brain is storing it all (or rather, I do – I can’t seem to find my car keys, like, ever, and I am constantly setting things down and forgetting where I put them). I had a really supportive and sweet CSA base this year, who didn’t complain when they got piles of summer squash for a few weeks straight or that my corn never grew to fruition. I’m doing an end-of-the-season survey next week to see what folks really thought of the season, and no matter what comes of it, I’ll learn more there, too, about what it is people are looking for in their local food sources. 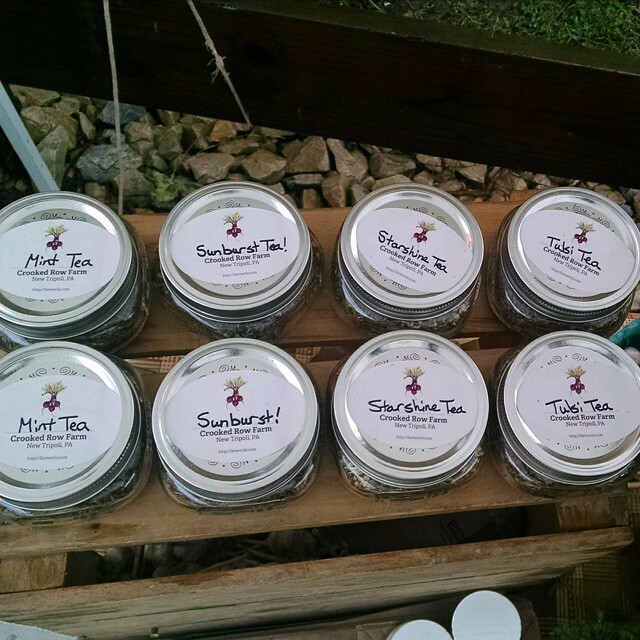 Near the end of the season I finally got my act together and started making tea blends. By the last market I had some on the table and folks were ecstatic. Though the blends still need some tweaking in terms of recipes, I ordered some more herbal books and want to take some more courses in this vein to create some really delicious and beneficial tea blends in the next season. And the dried herbs smell amazing. If you have any interest in these things, give me a shout at liz.m.wagner@gmail.com or any other way on the contact page. I’m trying to set up a tab for them on here in the next week or so. As usual, there is an enormous list of folks to thank for this season. Many of you know who you are. My mom, dad, grandma, aunt, sis, friends and family for all the helping and guiding hands and motivational support. The Lehigh Valley for all the networking opportunities and support for the local food community. The Philly home base for being supportive customers and beautiful, sweet friends. And the kids of West Mt. Airy for being the most hilarious market pals/pseudo interns I could have hoped for. The Community Art Collective for providing summer activities and support and PR for the Wednesday market throughout the season. If you’re in Philly, check these folks out. They are doing some really cool things over in the Mt. Airy/Germantown area. The Food Trust and Farm to City for allowing me into such lovely markets all season and for hiring such magnificent managers. 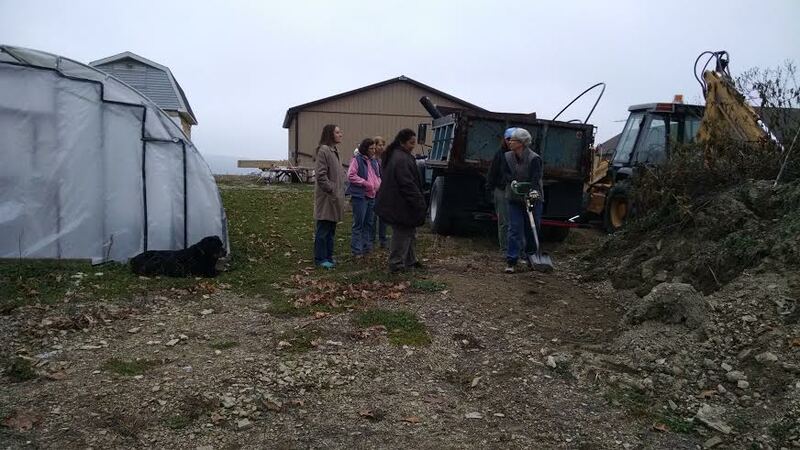 On Tuesday PA WAgN held an event at the farm featuring the beautiful, strong and amazing ladies of Green Heron Tools. 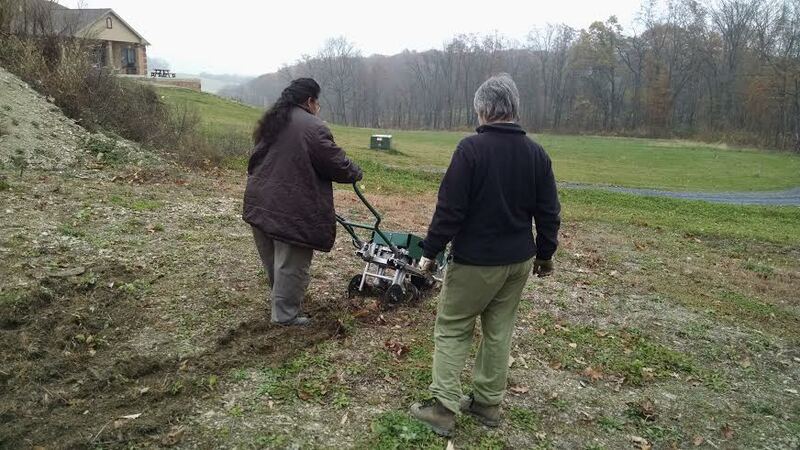 Liz and Anne brought their lady-friendly tiller for the women to try out in the fields, and while Liz ran the tests, Anne taught us about ergonomics and the importance of understanding the differences in men and women’s bodies, particularly in terms of agricultural tools. We learned how to use our bodies and equipment more efficiently and safely to protect ourselves over time. It was such a fun event, and ladies came from all over to participate. Liz and Lexi, an urban farmer from Easton, running the tiller. Anne explains the importance of additional grips and posture while doing even the most basic of farm tasks to protect your body. 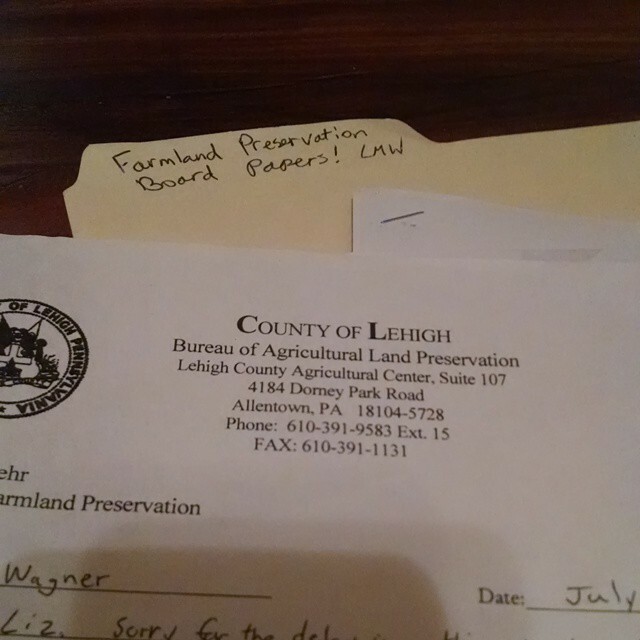 This past summer I was also nominated to the Lehigh Valley’s Farmland Preservation Board, which is a really cool opportunity that both they and I are really jazzed about. We get to help farms get funded for preservation, which offers a financial incentive to owners to give up their developmental rights and preserve farmland as farmland forever in the area. More to come on this development as I learn more about the process, but it is surely a necessary function as farmland continues to disappear all over the state at a rapid rate. This winter is set to be a phenomenal one. I have so many projects and mind – from the tea to that lot in North Philly to some oral history projects I’ve had on the back burner for months. And I want to learn, and not just about farming. I want to see what people love about their crafts and watch passions grow. I want to know my friends and acquaintances better, and learn about people I see every day but never have a chance to talk to. 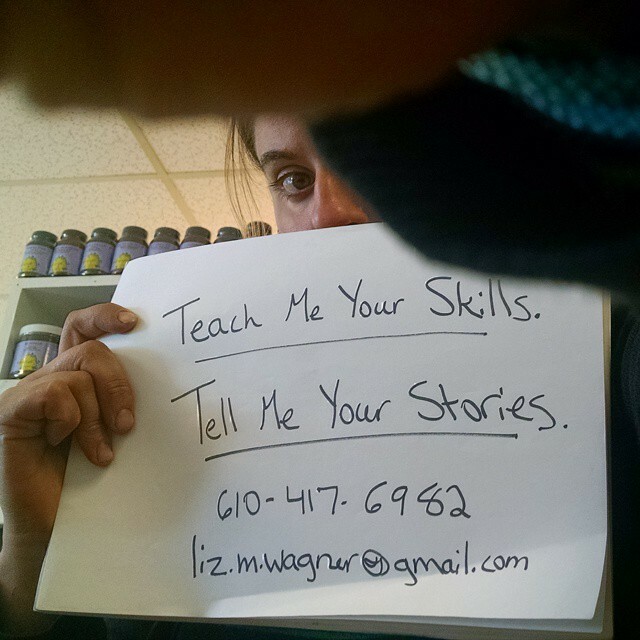 If you’ve got a story, I’d love to hear it. If anyone is interested in next year’s CSA, drop me a line. I’ll be posting more on that in a month or so. But if you work in an office or somewhere where you think others would be interested in learning about farm share opportunities or the importance of local food, please let me know! I’d love to come in sometime and talk about this with you guys. Thanks for everything, folks. If you’re in the Lehigh Valley or Philly and would like to go on some adventure or other, let me know. I’ll be bopping around trying to raise vibrations and spread that good field energy everywhere I go. 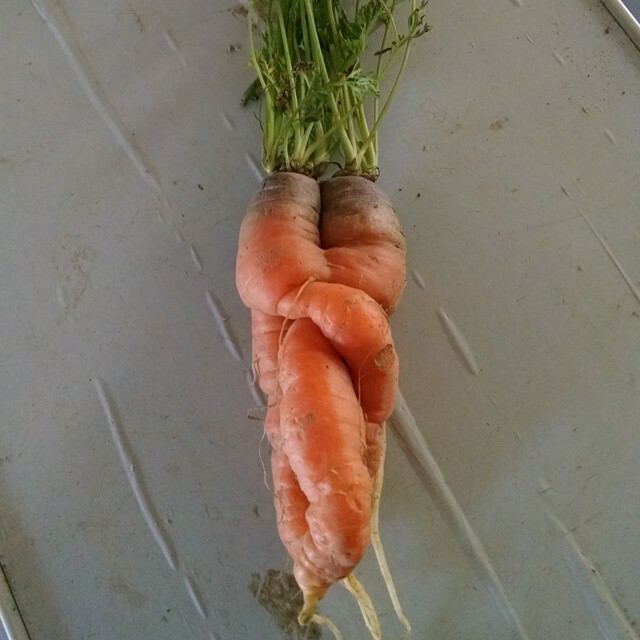 This entry was posted in Uncategorized and tagged Community Art Collective, Crooked Row Farm, CSA, East Falls, Farm to City, fields, House, Lehigh Valley, North Philly, OCF Coffee House, Philadelphia, Season, Tea, The Food Trust, Vegetables by wagnere1. Bookmark the permalink. 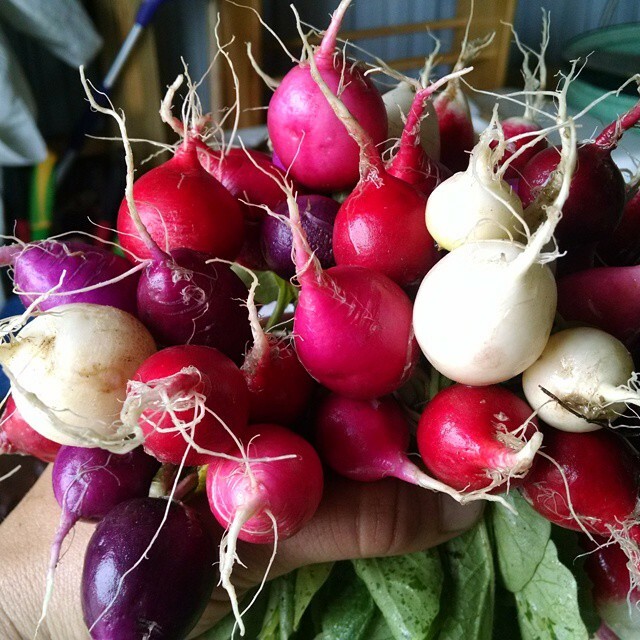 You should sell radish bouquets! They’re so pretty! Lovely post! It was an amazing season, Liz! Thanks for all the hugs and greens! Love this Liz! Love it! We just set up shop in Southern MA, a nice little homestead and I am set to learn and soak in as much as possible because this land, oh man this land, I can’t wait to use and care for! SO looking forward to following your adventure. Congrats on a great year and an awesome Little House!